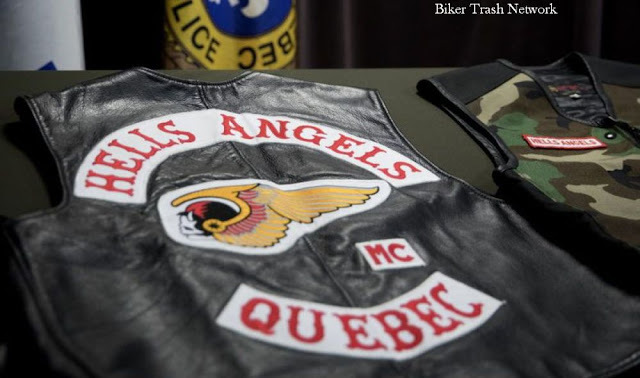 Repentigny, Quebec (April 18, 2019) BTN – A police officer who was arrested along with dozens of people rounded up following a major drug trafficking investigation into the Hells Angels has been granted parole on the 18-month sentence he received in January. Carl Ranger, a member of the Repentigny police when he was arrested in Project Objection last year, quit the police force shortly after he was charged. He admitted that in 2017 he approached an undercover agent who was involved in Project Objection and asked him for a $6,000 loan, and then broke the law to get it. The undercover agent said he would agree to the loan if Ranger did a few favours for him. The first was to research a license plate in a police database for the undercover agent, who was posing as a criminal. After carrying out that task, Ranger agreed to transport 10,000 meth pills to a drug dealer and returned with $10,000 for the undercover agent. 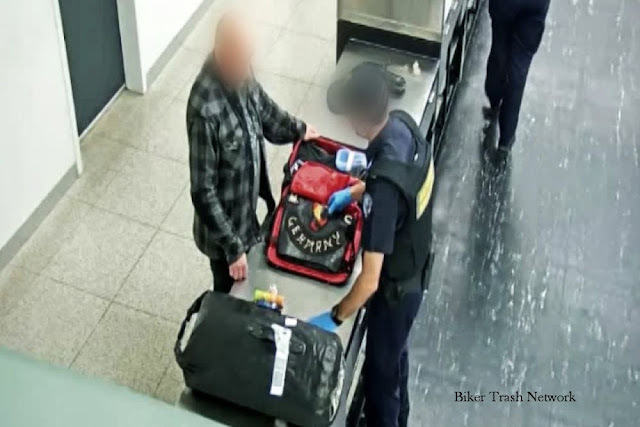 When Ranger pleaded guilty in October, no evidence presented in court suggested that what he agreed to had anything to do with the Hells Angels. 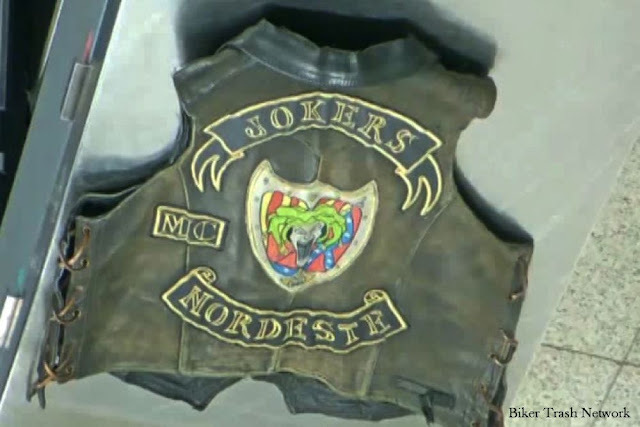 Several full-patch members of the motorcycle club have been arrested since April last year, when the first series of arrests were carried out. 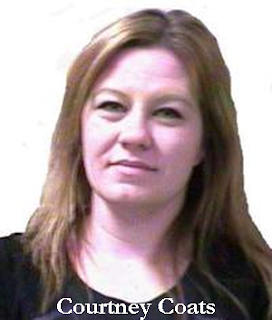 Some have since pleaded guilty to running drug trafficking networks in different parts of the province. According to a written copy of the decision made by the Commission québécoise des libérations conditionnelles on Monday, Ranger said his career as a police officer spiralled after he discovered the body of a woman who had been murdered in 2008. He said he slipped into a depression following the gruesome discovery and he received minimal support from the police force. He said he drank more and fell into financial trouble after he took a leave of absence to deal with his depression. 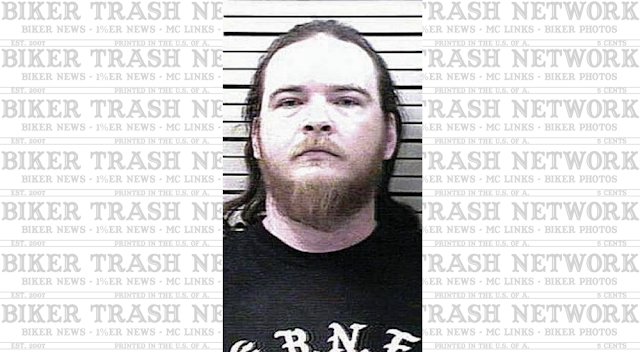 Ranger was eligible for parole after having served one-sixth of his sentence. 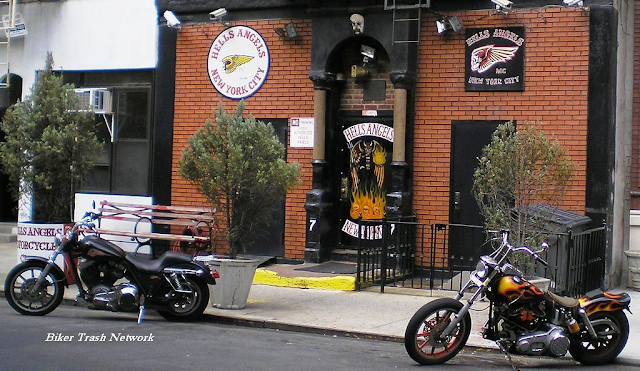 New York, NY (April 16, 2019) BTN — Since 1968, 77 East Third Street in Manhattan's East Village housed the Hells Angels Motorcycle Club's New York City clubhouse and apartments for some of its members. But the building was recently sold and the Angels have purchased new digs, a former church on Long Island. The New Yorker's Sarah Larson stopped by on moving day and wrote the article below. 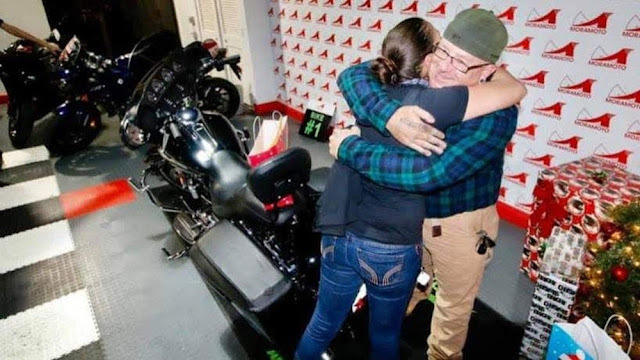 On a drizzly Sunday at the end of March, a white-and-yellow moving van occupied a space in front of 77 East Third Street that had long been reserved—and carefully delineated with traffic cones—for gleaming Harley-Davidson choppers. From August, 1969, until that day, the six-story lightly gargoyled Renaissance Revival apartment building with a first-floor brick façade was the New York City headquarters of the Hells Angels Motorcycle Club. Its distinctive front door, between two Doric columns painted with sevens, depicted a motorcycle-helmeted skeleton gleefully wielding a pitchfork atop a bed of flaming skulls. 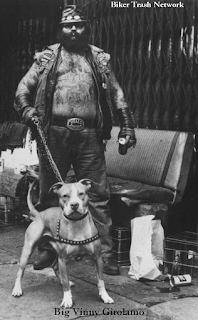 A plaque read “in memory of big vinny 1948-1979: ‘when in doubt, knock ’em out.’ ” That day, the Post’s front-page headline was “hell freezes over: yuppies bounce snowflake bikers out of east village.” After fifty years, the Hells Angels were moving out. 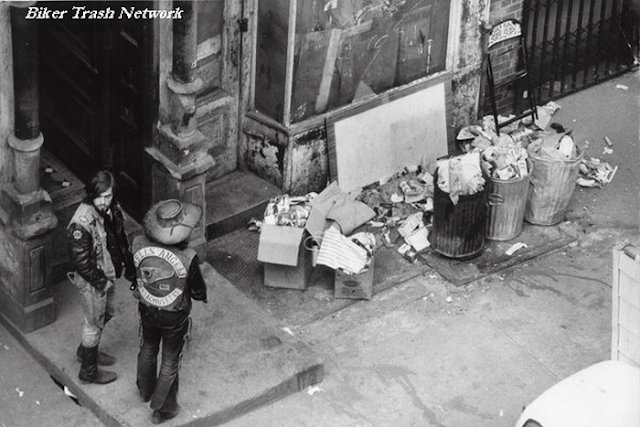 Hells Angels near their New York clubhouse on East Third Street between First and Second Avenue in March 1971. The building had functioned as both clubhouse and Angels-only apartment complex. Its buyer, Nathan Blatter, of Whitestone Realty Group, has been approached by someone who wants to open a Hells Angels museum there, but he is not interested. “It’s going to be a regular apartment building,” he said. That day, several brawny men in vests that said “prospect”—a club membership level between “hang-around” and “full patch”—did the heavy lifting from No. 77 to the van: a metal shelving unit, shipping containers, a stray broom. The club had been moving out piecemeal. Its infamous park-style sidewalk bench, tempting to look at but dangerous for civilians to sit on, was gone. Earlier in the month, a student from the Conservatory of Dramatic Arts, next door, saw members moving boxes out of the basement; another neighbor reported seeing the emergence of “motorcycle stuff and other unmentionable paraphernalia.” He warned an onlooker to stay away. “It’s like a skunk—you touch it and you start to stink,” he said, and hurried off. Other neighbors, though wary of being identified, were more wistful. At a dive bar, two veterans of the eighties post-punk scene—call them Nancy and Janet—reminisced over a glass of house red, with ice cubes. 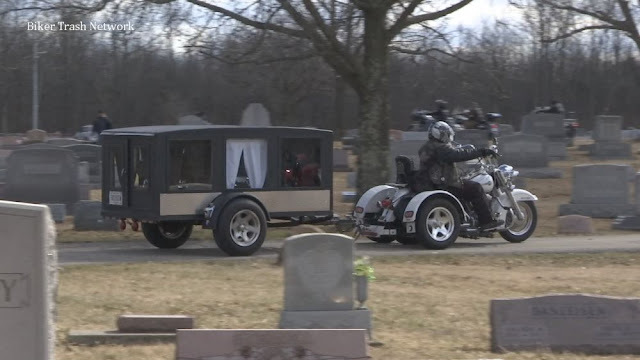 “I’m going to miss the sound of their motorcycles,” Janet said. She moved to the East Village in 1980. “They’d have big Fourth of July parties. We’d go up to my roof and the fireworks would come right up to your face.” The Angels launched their fireworks from metal garbage cans. (A local illustrator described this as “absolutely terrifying.”) “The parties used to be great,” Nancy said. “Until the explosion.” In 1990, a garbage-can firecracker killed a fourteen-year-old boy. 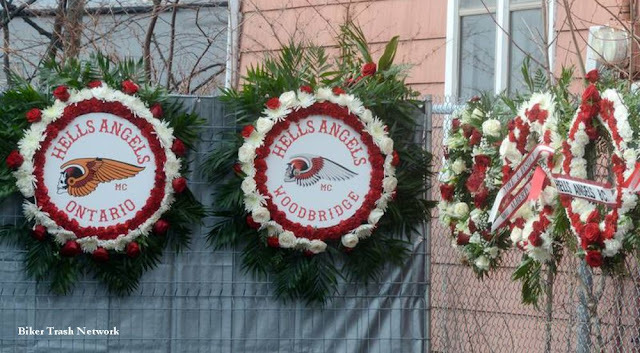 Over the years, the East Village Angels both caused and prevented mayhem. In 1994, the Times characterized this mayhem, part “lore and part police reports,” as “countless decibel-cranking parties, LSD-laced misadventures, drug deals, orgies and random acts of violence against passers-by.” In recent years, parking-space tussles resulted in beatings and a shooting; a woman who pounded on the door, screaming, was badly beaten. In 1978, the chapter president, Vincent (Big Vinny) Girolamo, of plaque fame, allegedly pushed his girlfriend off the roof, to her death. (He died, of stab wounds, before he could stand trial.) Innumerable bad vibes were doled out after unwanted bench-sitting, dog-peeing, and photography incidents. But, from the scuzz era to the N.Y.U.-and-condos era, club members also defended their neighbors; the Angels’ block was considered the safest around. “I’ll miss the way they decorated at Christmas,” Nancy said. “They used to break people’s cameras,” Janet said. In the Instagram age, unwanted photography had skyrocketed. The group is aggressively private. Only members were allowed inside the clubhouse—but Janet, decades ago, was invited in after a peppery conversation with an Angel. “I was scared shitless and trying to be tough,” she said. The interior, she recalled, “was like a suburban house”—couches and so on. “The women were cleaning and the men were partying. 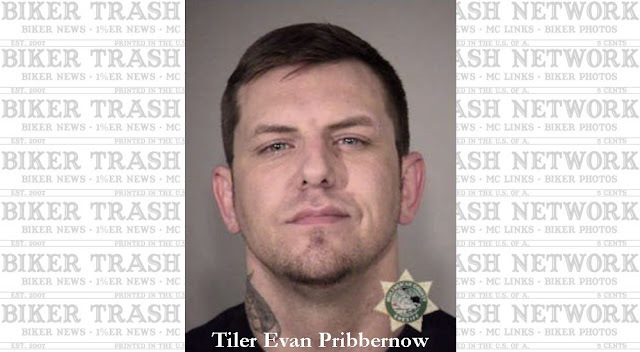 Portland, OR (April 12, 2019) BTN – The star government witness in the torture-style killing of a former Gypsy Joker Motorcycle Club member is the man who wielded the fatal blow with a baseball bat strike to the head, a defense lawyer said in court Thursday. Schindler said the government has no physical evidence placing Negrinelli at the scene. Negrinelli has no prior criminal record, he said. The lawyer also pointed to Negrinelli’s full custody of his 14-year-old daughter and ties to the community. U.S. District Judge Robert E. Jones ordered Negrinelli to remain in custody, citing the gravity of the alleged offense. But the judge said he wasn’t willing to let the defendants languish in county jail indefinitely while waiting for “some bureaucrat’’ at the U.S. Department of Justice in Washington, D.C., to “make up their mind” and decide whether to pursue the death penalty in the case. He said he was told it could take up to a year for the decision, and that’s not acceptable. Schindler also urged the judge to discount Negrinelli’s statement to two Portland detectives after his arrest, saying it should be suppressed because the detectives failed to acknowledge Negrinelli’s repeated requests for a lawyer, placed him in a holding cell for eight hours without food and then plied him with leading information about the attack. Negrinelli also told the detectives he suffered from a childhood brain injury that impairs his memory. Assistant U.S. Attorney Leah Bolstad said Negrinelli was involved in a “premeditated, planned hunt of someone who angered the group he was part of.” According to Pribbernow, Portland’s Gypsy Jokers president Mark Leroy Dencklau ordered the attack on Huggins and others helped. The June 30, 2015, kidnapping and subsequent killing was in retaliation for Huggins’ burglary and robbery at Dencklau’s Woodburn home earlier that month, the government alleges. 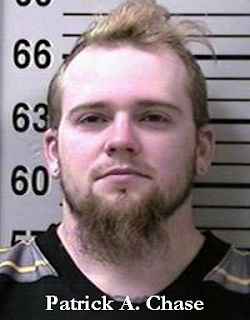 Dencklau is also charged in the killing. According to Bolstad, Negrinelli helped grabbed Huggins in the driveway of a Portland home and put him into an SUV, where he and four others beat him and drove him to a shed in Woodlawn, Wash. Negrinelli helped place Huggins in the shed, where the defendants continued to torture Huggins, according to Bolstad. In his own words, Negrinelli told Portland detectives after his arrest that he “blasted,’’ or punched, Huggins a few times, Bolstad said. Negrinelli also used water-boarding on Huggins, placing a scarf over his mouth and pouring water into it, triggering a choking response, Bolstad said. He also helped apply burning hot wire to Huggins’ body, she said. While others dumped Huggins’ body, Negrinelli and two co-defendants drove away in another car to discard weapons, throwing baseball bats into brush off the side of a road, Bolstad said. Toronto, ON (April 11, 2019) BTN — Police forces in Quebec arrested 33 people Wednesday in relation to an alleged drug network extending from Montreal to Outaouais, Centre-du-Québec, the Montérégie and more. A total of 37 searches were carried out, and police say nearly two kilograms of cocaine and 27,100 methamphetamine pills were seized as part of Operation Orca. 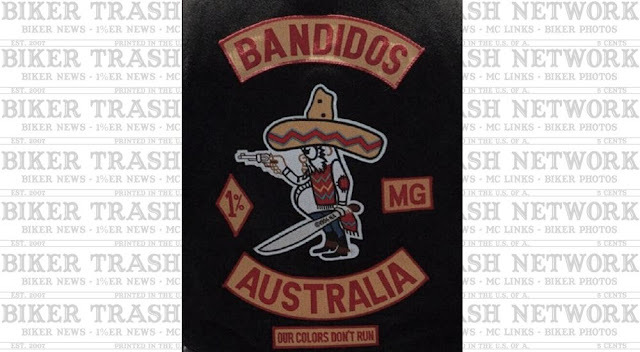 Officers say they also seized 23 vehicles, $120,000, four firearms, six jackets in the colours of the Hells Angels and an escutcheon. Two of those arrested were Claude Gauthier and Pascal Facchino, identified by authorities as part of the Angels’ Trois-Rivières chapter, alleged to be leaders in the sale of narcotics in the Saint-Jean-sur-Richelieu region. 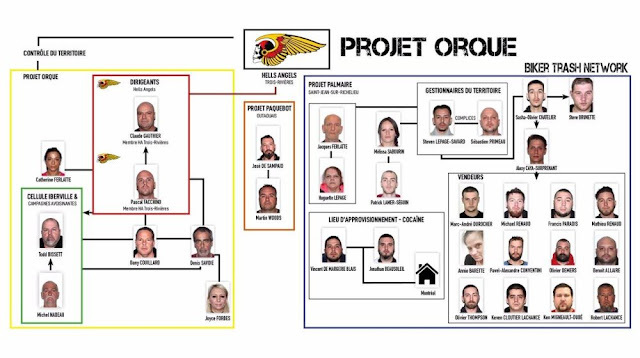 Quebec provincial police‘s joint organized crime unit, known as ENCRO, is mandated to specifically target those in charge of organized crime rings. The squad consists of more than 160 police officers from the Sûreté du Québec as well as police departments from Montreal, Quebec City, Laval and Lévis. 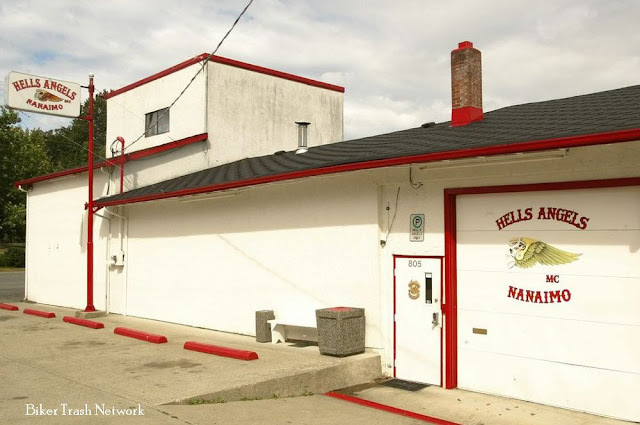 Nanaimo, BC, Canada (April 10, 2019) BTN — A lawyer for the Hells Angels suggested Tuesday that a civil-forfeiture case against the motorcycle club was motivated by a desire by the RCMP to get “bad guys,” and had nothing to do with concerns about the club’s Nanaimo property. The comments were made by lawyer Joseph Arvay during the second day of his questioning of Phil Tawtel, the executive director of the provincial civil-forfeiture office. Arvay was asking Tawtel about a referral document in which the RCMP recommended in 2007 that the Hells Angels clubhouse in Nanaimo should be targeted for civil forfeiture. A lawyer for the director objected to Arvay’s questioning based on the document and the witness was asked to leave the courtroom while the lawyers argued the matter. Arvay told B.C. 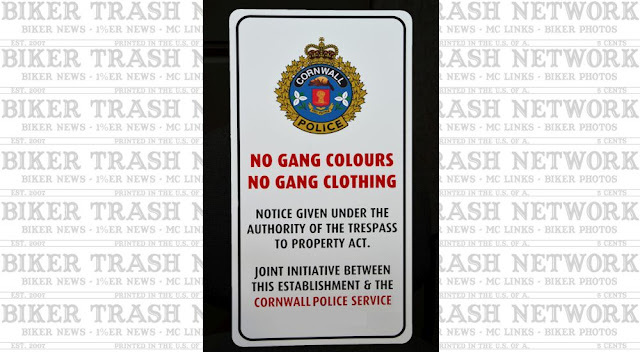 Supreme Court Justice Barry Davies that he was going to ask the court to draw the inference that from the police perspective at least, the RCMP referral was much more about simply going after the motorcycle club than any real concern about the property. He accused the director of looking for “whatever hooks” are available in the applicable legislation to go after the property. Brent Olthuis, a lawyer for the director, objected to the questioning on the basis that it was calling for hearsay from a witness on the motivation of the RCMP as the referring agency. “I say you can’t do that. You simply cannot do that,” Olthuis said. Olthuis also objected to the questioning on the basis that it was not relevant to the issues in the case. But the judge said that in “general terms” he agreed with Arvay and noted that in canvassing the constitutional issues being raised in the case, he needed a “full factual matrix” to make a final decision. 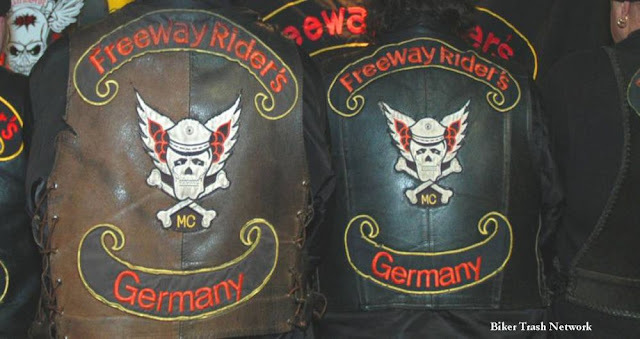 “The director has opined that the Hells Angels are a worldwide organization with criminal purposes and that the clubhouses act to facilitate that role,” said the judge. “To deny the defendants the right to examine the basis upon which these proceedings were commenced, and the interaction between the RCMP and the director, would render the constitutional question something to be decided in a factual vacuum. That will not occur.” The judge said that he agreed it might be difficult to determine the motivation of the RCMP, but added that what was relevant in the case was the actions taken by the director in response to the RCMP referral. The long-running case saw the civil-forfeiture office launch its lawsuit seeking forfeiture of the Nanaimo clubhouse in 2007. The director alleges the clubhouse is an “instrument of unlawful activity” and that it’s an asset that should be forfeited to the government. In 2012, the office filed another lawsuit seeking the forfeiture of two more Hells Angels clubhouses — in Vancouver and Kelowna. The trial is expected to continue Wednesday. 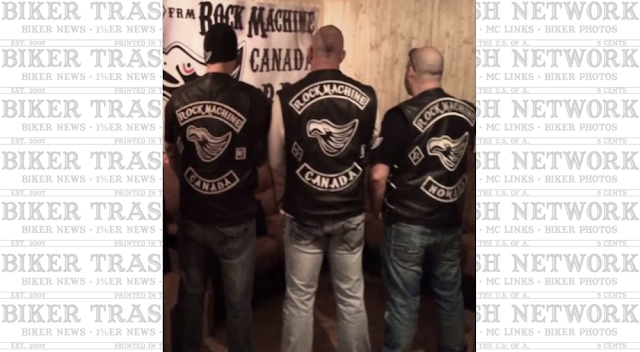 Quebec, Canada (April 8, 2019) BTN — A Sûreté du Québec officer has been suspended for 60 days without pay for assaulting a member of the Rock Machine Motorcycle Club while the latter was in custody in 2014. In October 2014, Landry was called in as backup in the arrest of Jean-François Émard, a member of the Rock Machine, on suspicion of possession of drugs. After Émard had been placed in a cell, Landry’s colleague asked him three times to accompany him to question the suspect. Landry finally agreed, and the officers said they were subjected to string of insults and provocations from Émard during the process. Vancouver, B.C. 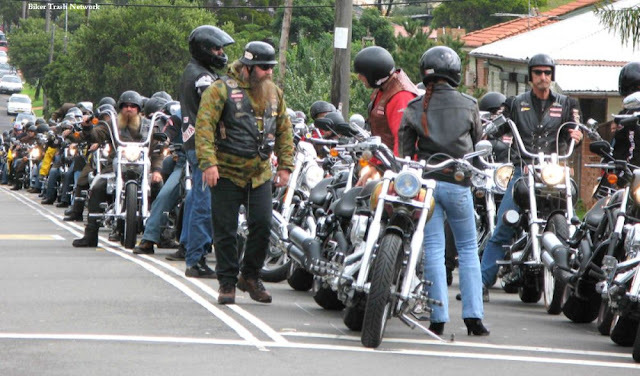 (April 6, 2019) BTN — About 80 Hells Angels and associates gathered at the bikers East End clubhouse Saturday morning for their annual ride to pay tribute to fallen comrade Dave (Screwy) Swartz. 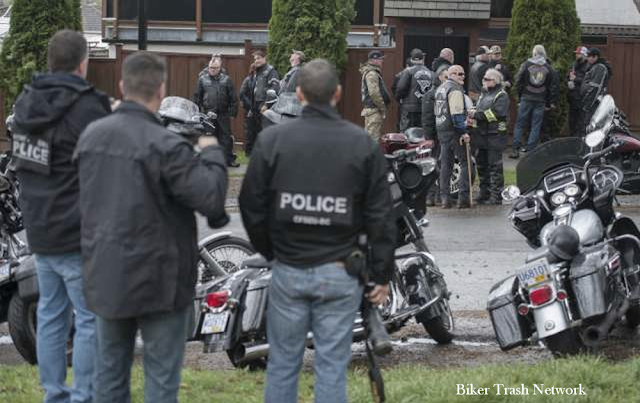 Specialized police officers, who investigate so called motorcycle clubs, were also on hand to take photographs and videos as the riders arrived. Vancouver police traffic enforcement officers checked vehicle registrations of several Hells Angels, prompting East End chapter president John Bryce to head out to talk to police. Some of the bikers muttered insults at officers, who were stationed across from the clubhouse, located at 3598 East Georgia St. VPD Sgt. Jason Robillard said police were out in force “to monitor and ensure that the rules of the road are followed.” “Public safety remains our top priority,” Robillard said. Swartz was a full-patch member of the East End chapter when he was gunned down in Surrey on April 6,1988, by a friend after an all-night drinking party. The friend then killed himself with the same gun. 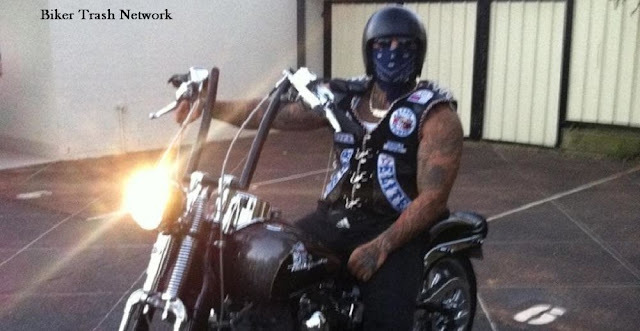 Swartz’s son is now a member of the Vancouver chapter of the notorious biker gang. 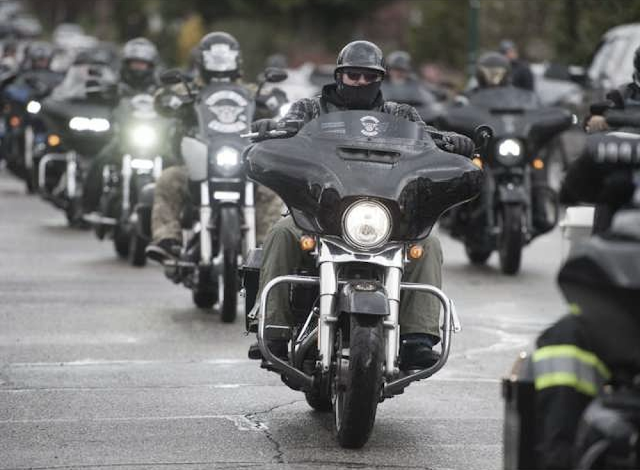 The Hells Angels were joined Saturday by “support clubs” from around B.C., including the Langford Savages, the Dirty Bikers, the Jesters, the Teamsters’ Horsemen, the Shadow Club and the Devil’s Army out of Campbell River. The East End clubhouse, assessed this year as being worth $1,275,000, is one of three that the B.C. director of civil forfeiture is fighting in court to seize because of alleged links to criminal activity. 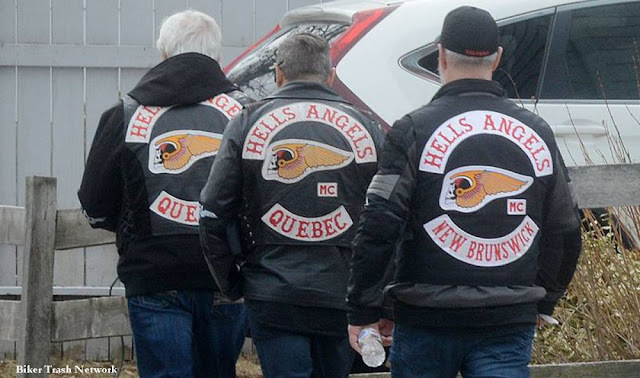 Just this week, lawyers for the Hells Angels were in B.C. Supreme Court arguing the director’s lawsuit, first launched in November 2007, should be thrown out. 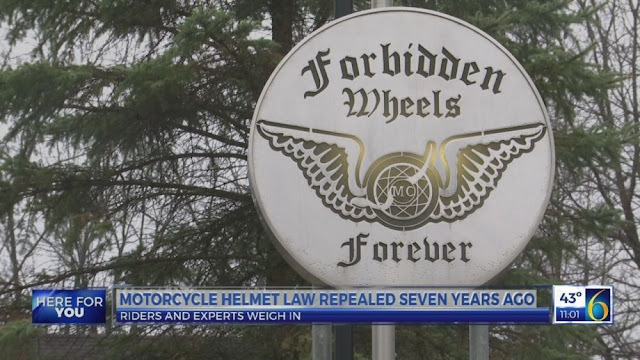 The Hells Angels’ latest petition alleges the RCMP violated the constitutional rights of the bikers by passing on information to the B.C. government’s civil forfeiture office. And it also says the section of the B.C. Civil Forfeiture Act that allows information sharing with police violates the Charter of Rights and Freedoms. “The director therefore has no lawful authority to collect information from the RCMP. As such he had no authority to initiate proceedings on the basis of such information,” the HA’s petition states. “In the circumstances, the petitioners seek orders quashing the decisions to initiate proceedings and prohibit the director from continuing, commencing or conducting proceedings on the basis of such information.” The director says in his response to the petition that it is merely a delay tactic and that the bikers have known about the sharing of police information since at least 2008. The Hells Angels “could and should have brought this judicial review at least 11 years ago,” the court document says, adding the bikers have “offered no explanation for its extraordinary delay in seeking this relief.” The director also said it did not receive any “personal information” about the Hells Angels from the police. A lawyer representing the RCMP also argued before Justice Barry Davies Friday that Canada’s national police force had the power to share information with the director of civil forfeiture. Sitting in court was Hells Angels spokesman Rick Ciarniello, who spent part of the morning filing his fingernails. The trial, which began last April but has been adjourned several times since, is scheduled to last another three weeks. 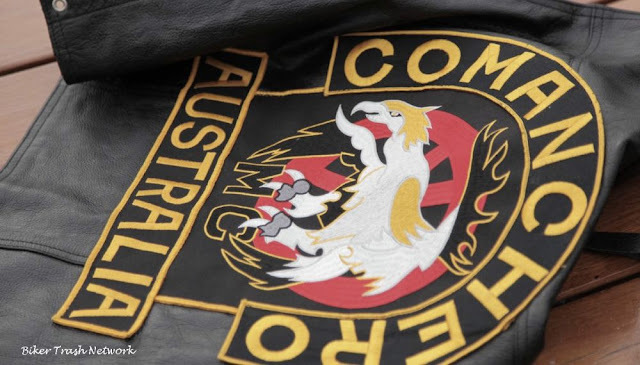 So far, the government side has called a former Hells Angel and a police agent who infiltrated the East End Hells Angels, as well as a series of police officers. 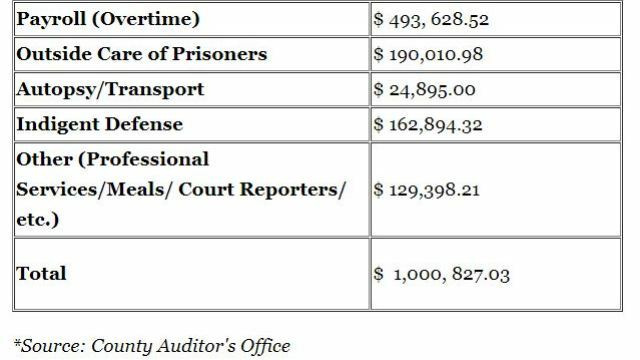 Last month, parts of an expert report by retired Ontario Provincial Police Det. Staff Sgt. 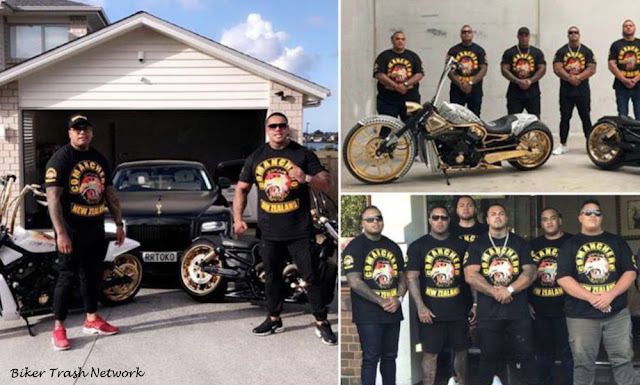 Len Isnor were ruled inadmissible because Davies said they were full of biased, unsubstantiated claims about the biker club. 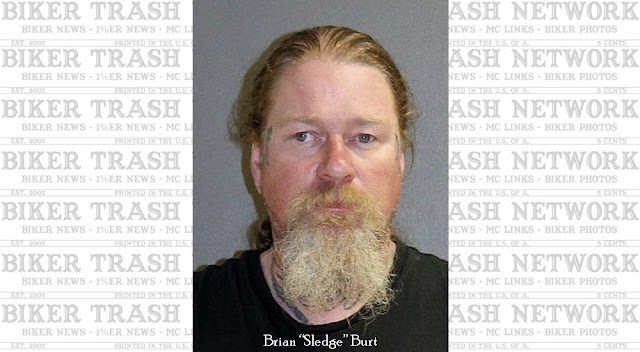 Biker Trash Network: April 6-7, 2019 -- A bloody weekend for Bikers as two separate fights break out in two separate States leaving two dead and five injured as riding season gets underway in many areas. The first was in Killeen, Texas and the one ending in Indianapolis, Indiana resulted in two deaths. 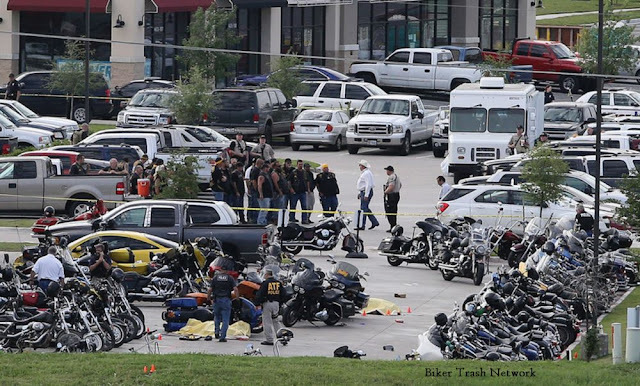 Killeen, Texas (April 6, 2019) BTN — Two people are hospitalized after a shooting between two rival motorcycle clubs outside of a Killeen bar Saturday morning, according to a Killeen Police Department press release. One victim remains in serious condition at AdventHealth Central Texas, and another is in serious condition at a Baylor Scott and White hospital, according to the press release. The Killeen Police Department responded to a call around 1:40 a.m. Saturday about a "large" fight on the road outside of MJ's Bar and Grill at 1310 S. Fort Hood Road. As officials were on their way to the scene, two people were shot during the fight, according to the press release. Indianapolis, Indiana (April 7, 2019) BTN — Two people are dead and another three are injured after an early morning shooting on Indy’s near northeast side. 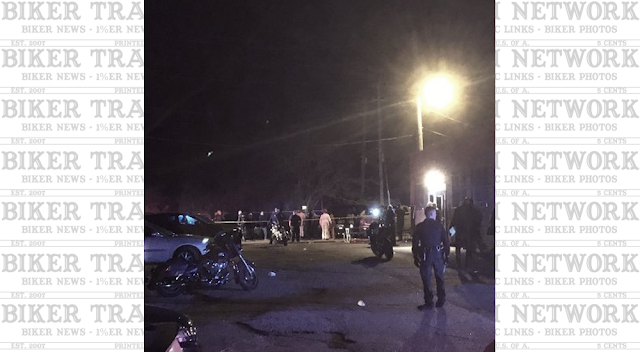 Police referred to the location as a “motorcycle club hangout.” According to the Indianapolis Metro Police Department, the shooting occurred shortly after 1 a.m. in the 3600 block of Roosevelt Avenue at a brown brick building that has no name, but is a known hangout for motorcycle clubs. Police believe at least two or three different motorcycle clubs were inside the building at the time the shooting occurred. After police arrived on scene, they discovered one male and two females suffering from apparent gunshot wounds. One of the female victims was pronounced dead at the scene by Indianapolis EMS. The second female was transported to the hospital in serious but stable condition. The male victim was also transported, police said, but was pronounced dead at the hospital. According to police, two more victims that were suffering from gunshot wounds associated with the motorcycle club shooting later arrived at the hospital. One of them was listed as being in critical condition. The severity of the fifth victim’s injury isn’t known at this time. Detectives with the Indianapolis Metro Police Department continue to investigate the shooting. IMPD stated a physical altercation may have lead up to the shooting, but they are still working to try and determine a motive. At least two IndyGo buses were loaded up with potential witnesses to be questioned by IMPD. The names of the deceased have not been released, as next of kin has not yet been notified.